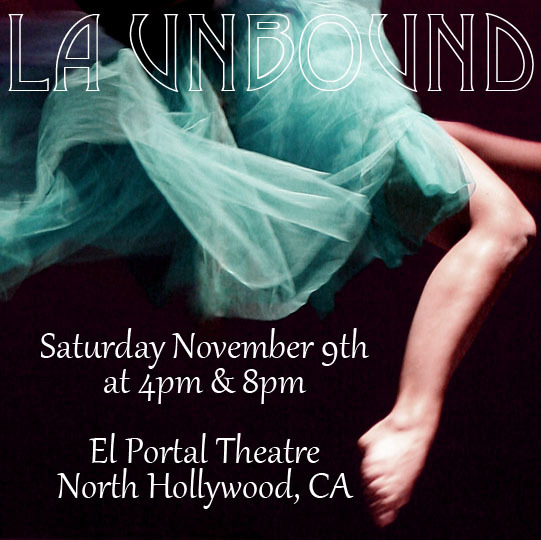 Please join us for performances on Saturday, November 9th at 4pm & 8pm at the historic El Portal Theatre in North Hollywood. The show features contemporary, hip-hop, jazz, tap, ballet, aerial, and more, in 24 different pieces with more than 100 dancers! Tickets are $18 in advance, $25 at the door and are available now at brownpapertickets.com. All seats are general admission, first-come, first-served.